If you ask most adults, they probably recall this lunch special from elementary-school cafeterias: Salisbury steak. What kid wouldn't? The nostalgia we have for certain foods is deeply rooted in our experiences as children. 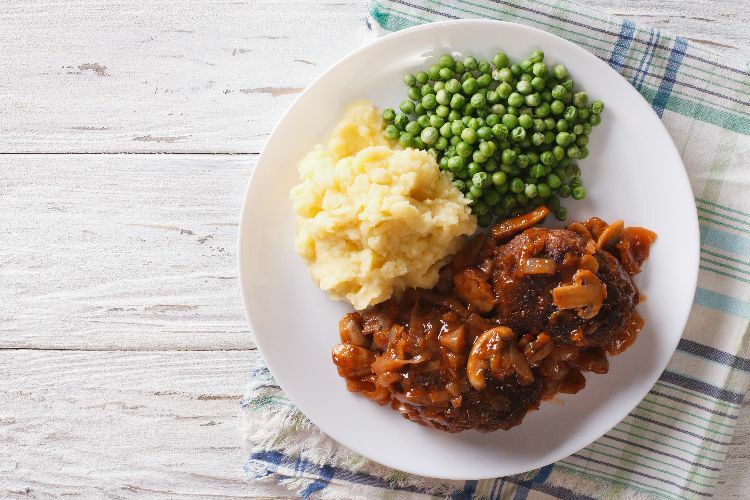 If you're new to Salisbury steak, it's simple enough to master, and endless variations abound to suit your family's taste. Essentially, Salisbury steak is a ground beef patty that is seasoned (or not), pan-fried and topped with a rich brown gravy. Converting the oven version for your slow cooker is equally simple. 1. Mix all the patty ingredients together, then form small patties about 3/4 inch thick. 2. Make a bed of onions and mushrooms in the slow cooker. 4. Mix all other ingredients except the cornstarch and pour over the meat and vegetables. Cover and cook on low for 5 hours. 5. Remove patties. Turn slow cooker to high, whisk in cornstarch, and cook until it thickens. 6. 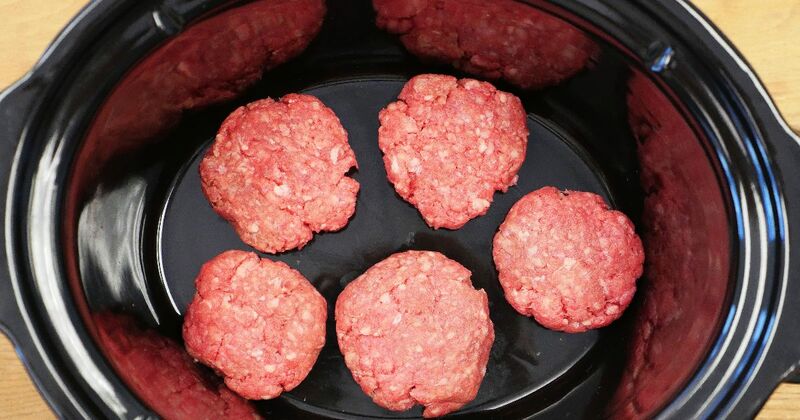 Return patties to the slow cooker to coat with the sauce before serving. Served with mashed potatoes and peas, this homemade meal definitely beats both the cafeteria version and the TV dinners from yesteryear, hands down. Enjoy!